Not your Ordinary Bath Bomb - SudBudz Clean Rap! SudBudz / SudPrize - Take Baths. Win Prizes. Play Games. 1. Turn on notifications 🔔 to be in the #notificationsquad and comment as soon as I upload! Early posts will have a chance of being notificationsquad of the week! 2. Follow me on Instagram @davna_films And comment on my most recent pic! A random comment will be #Tiffagram of the week! 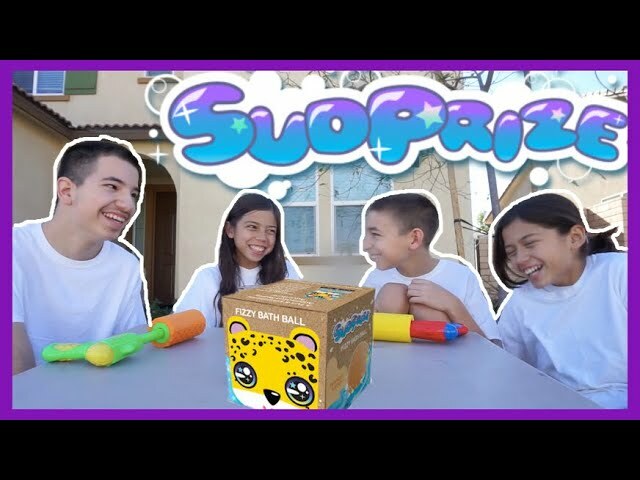 How to win prizes with SudPrize bath bombs! Once you open your sudbudz bath bomb box you will see a golden ticket just like mine in my video. Each package comes with a golden ticket and on the ticket you have a special code. Go to their website sudbudz.com you will see the screen that I show here in the video. Enter your code and other information needed and that is it! EASY! They will either email you a prize or mail you a random prize! Every code is a winner and there are over a thousand different prizes such as discounts, toys, gift cards, family trips and more! 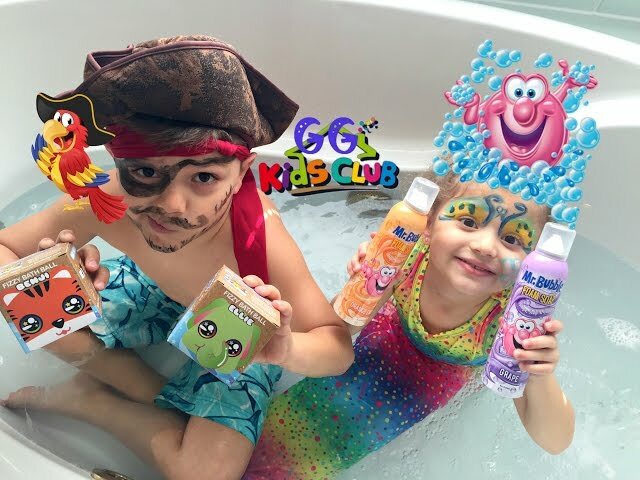 As a parent what I love the most about this fizzy bath bomb is the fact that the packaging is eco-friendly and the bath ball is made with natural ingredients that are gentle on my daughters skin. Out of the package the bath ball is unscented but after your put it in water it does have a very light fresh relaxing pleasant scent. 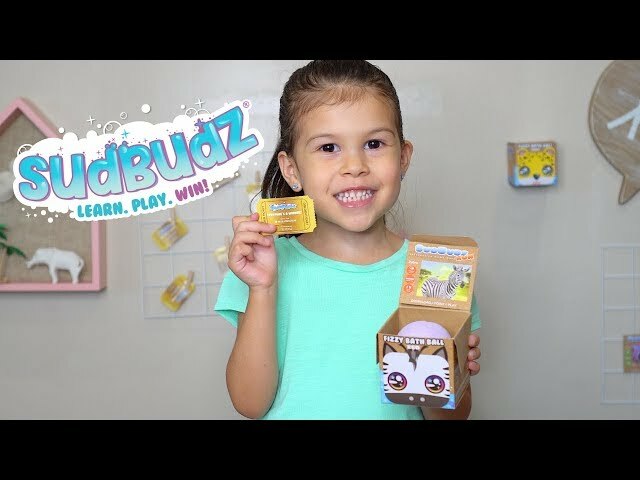 What Tiffany loved the most about SudBudz is the fact that you get this "special" golden ticket/prize and how vibrant and colorful the bath water became. Even though the colors are bright it didn't stain my bath tub or my clothes when playing with this colorful bathwater. Overall we do recommend this product! SudBudz Run companion app integrates augmented reality technology for a virtual & immersive experience. With each SudPrize package you get an interactive game card! We didn't get a chance to show this but all you do is you download the app and scan the card and it unlocks one character. Since we got Ellie and Joey we were able to unlock those. Tiffany Taylor LOVES toys, juguetes, खिलौने, brinquedos, jouets, Spielzeug, играчке, ของเล่น, اللعب, igračke, đồ chơi, oyuncaklar, leksaker, игрушки, jucării, тоглоом, leker, اسباب بازی, zabawki, 장난감, トイズ, giocattoli, mainan, játékok, צעצועים, Hračky, legetøj, speelgoed, laruan, Παιχνίδια ของเล่น, اللعب, igračke, đồ chơi, oyuncaklar, leksaker, juguetes, играчке, игрушки, jucării, тоглоо, Παιχνίδια, Tiffany TAylor Kid Adventures LOVES them so so much! Of coarse she also adores dolls, muñecas, bonecas, 娃娃, الدمى, panenky, poupées, puppen, bambole, especially these super cute trendy L.O.L Surprise Dolls! 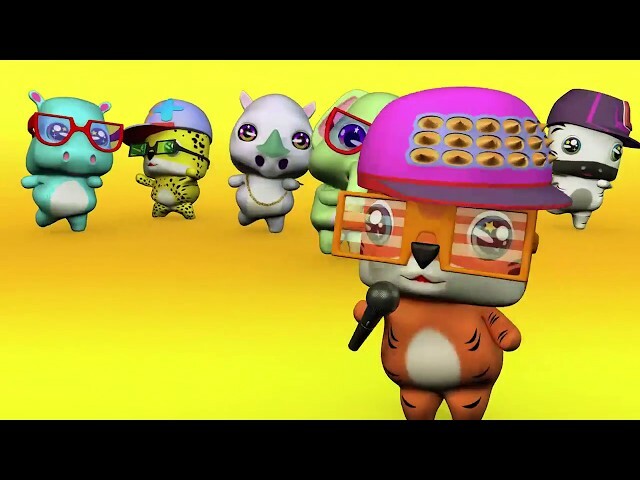 Clean Rap Music Animation for Kids of all ages! Feel free to feature or share this animation on your channel. 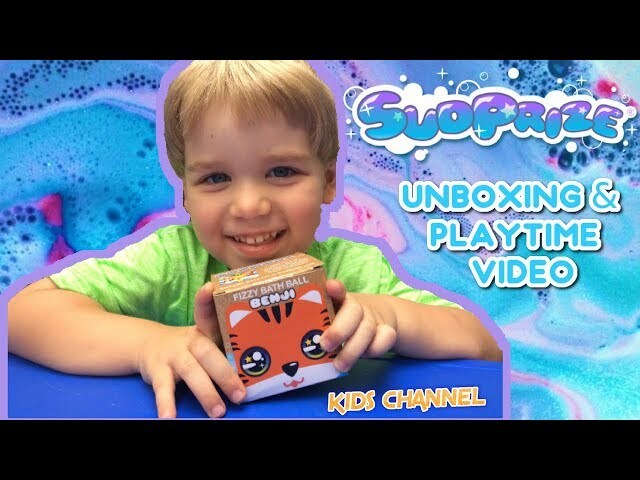 SudPrize® is line of bath products with a companion Gaming App called SudBudz® to help educate children about endangered animals and their habitats. 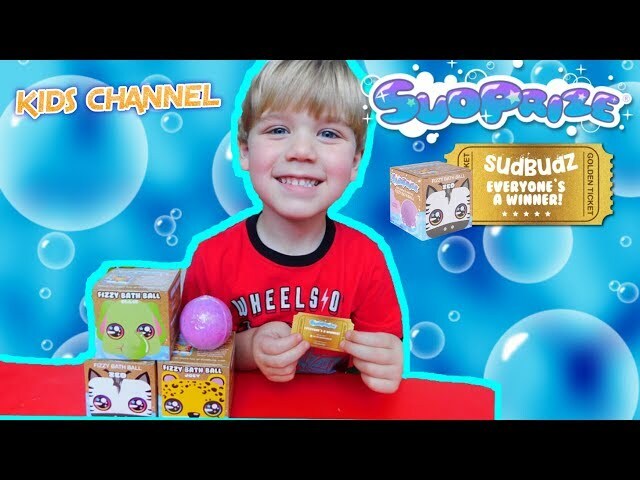 Each box of SudPrize® Fizzy Bath Ball has a GOLDEN TICKET insert with a special code that parents get to enter on SudBudz.com to WIN random points, gift cards, prizes and discounts. The companion gaming apps are free to download and a fun way for kids and their family to engage with their favorite SudBudz® characters. SudBudz® represent endangered animals and their habitats; Our approach is to use these characters to help connect with children and inspire them to learn about how they can reshape the future of their world. Be sure to Download the Free SudBudz gaming app. SudPrize® Bath Fizzy are alcohol free, paraben free, animal cruelty free and contain natural ingredients. * Ages 3+ - Due to potential choking hazard, SudPrize® does not include any small toys inside the bath-bomb. The surprise is a random gift card or prize you will receive that ranges from various gift cards, educational toys to movie tickets for the family amongst various other items. 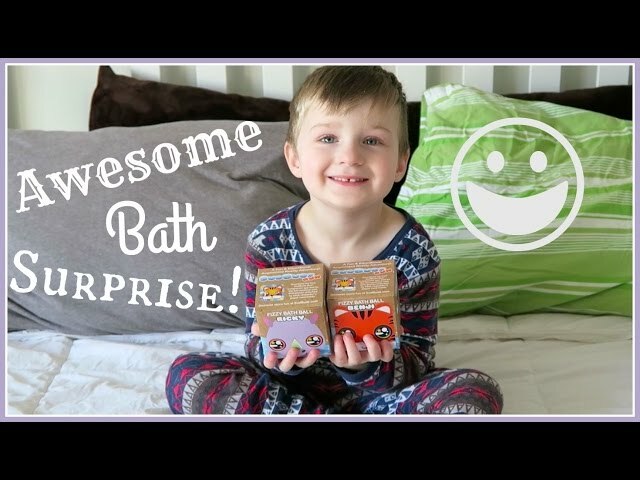 We play with the SudBudz Bath Bombs! We are That YouTub3 Family! 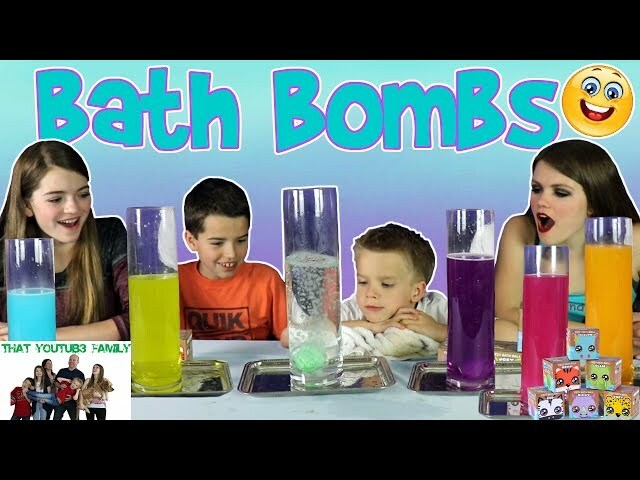 "That YouTub3 Family" is a super fun and entertaining family vlog channel. Our daily videos highlight the fun we have as a family. Please subscribe and become a part of our YouTube Family. We do an assortment of videos on this channel such as secret ninja missions, pranks, daily family vlogs, behind the scenes, outrageous challenges, really fun games, and what is that videos where the kids try to guess what an object is. We like to get messy and have tons of fun. Our children also have their own YouTube Channels. Please be sure to check them out and subscribe. Did you enjoy this video? Here are some other videos we think you might like. 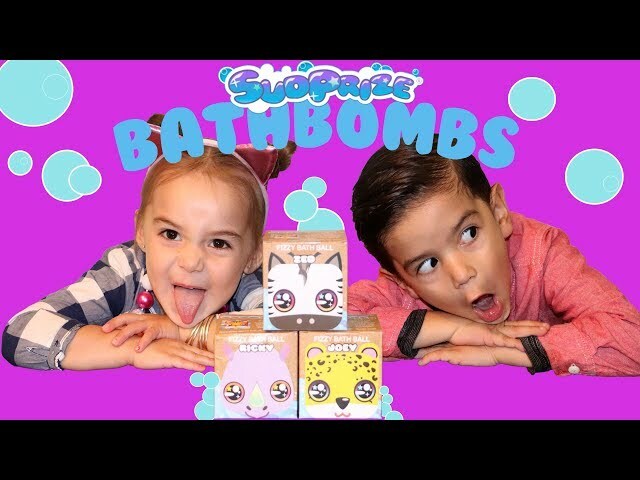 In this video Baby Gia and Gavin open a cool SUDPRIZE they discovered in a treasure! They also get creative with Mr. Bubbles Foam Soap!!! 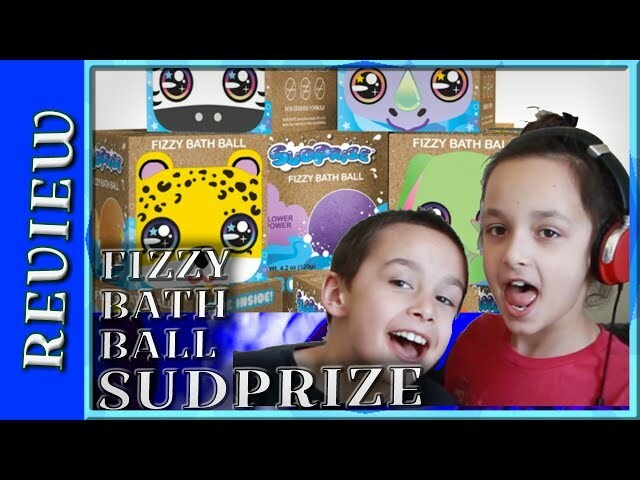 Sudprize Fizzy Bath Ball is a relaxing bath product just for Kids! There are several different characters and inside each box you get a cool play card which helps you unlock your free mini game using the Sudbudz app! To get yours with a 10% discount, use the promo code "GGKIDS10"
Underwater playtime video starring 3 year old Tristen! We also have Fizzy Eggs, Dinosaur Grow Capsules, Magic Washcloths. We had a lot of fun here! FOLLOW US ON INSTAGRAM: See what our next video will be about before it's uploaded & Mom loves posting pictures of her own toys! We got BATHBOMBS!!! With a golden ticken! Unboxing & Playtime video! Thank you Sudprize for sending us these! GOLDEN TICKET Once you open your sudprize bath bomb box you will see a golden ticket just like us as you see in our video. 20% Off Your Crystal Wash Purchase! 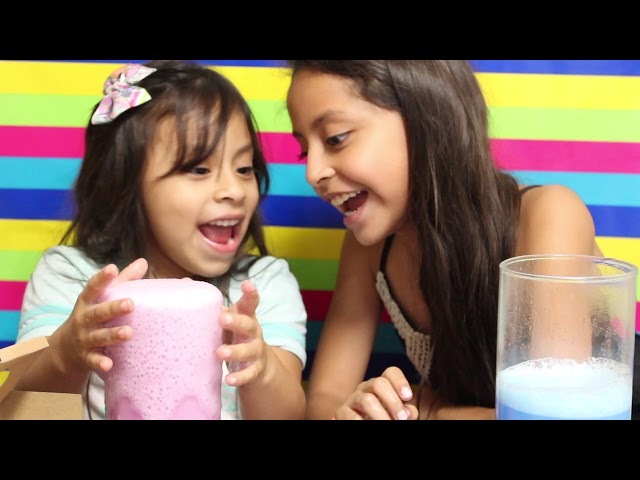 Way 2 Good Life Kids video channel is a fun creative channel for families! Our video projects include fun family activities, books, family travel, and everyday experiences from the kids stand point. Way 2 Good Life Kids is a part Way 2 Good Life family. Our family website covers a variety of family-related topics including kids content, family travel and activities, and so much more! With a social imprint of over 52,000 fans (across a number of social media channels including Twitter, Pinterest, and Instagram), we know how to capture the moment and share it with our audience. Sudprize Fizzy Balls WATER FUN is presented by JCTV Family Vlog, a special needs vlog with two special needs vloggers - Sudprize fizzy bath balls. We are family vloggers with two special needs boys (Jonah and Connor) who love having fun while encouraging others to LET NOTHING HOLD THEM BACK. Jonah’s Special Needs: Sensory Processing Disorder, Intellectually Disabled, Social Anxiety Disorder, Major Speech Delay. Connor’s Special Needs: Intellectually Disabled, Mild Sensory Processing Disorder, Mild Social Anxiety Disorder, Speech Delay. PLEASE SUBSCRIBE if you want to support Jonah and Connor as they make videos to improve their speech, everyday comprehension of life and to encourage others with disabilities/ special needs. WANT TO BE FEATURED ON SUDBUDZ TV? BE SURE TO CONTACT US FOR COLLABORATION OPPORTUNITIES OR USE THE HASHTAG #SUDBUDZTV TO BE FEATURED! Namaste, I’m Benji the Tiger! I hope you cool cats enjoy my newest single that illustrates how you all can help the wild life. SudBudz / SudPrize – Take Baths. Win Prizes. Play Games. Make sure you keep up with the SudBudz and subscribe for new videos, giveaways and contests!